seaweed as a natural fertlizer and stock feed. If you live near the sea (obviously) seaweed can be used to improve the soil condition. It can also be used to make up a liquid feed. Don't pick seaweed which is still attached to rocks etc, only use the seaweed washed up on the shore. Wash it first, in case there are any wee insects on it. Yes, Brian, you are so right! Seaweed is a wonderful addition to the garden and can be used in a number of ways. It is illegal in some countries to even pick the seaweed off the beach, so make sure that you check with your local council before doing so. Drift seaweed is often low in minerals and can also have mold, so examine it carefully before carrying it home. The most ideal time to harvest seaweed is after a storm when you have fresh seaweed that has now landed on your shores as a bonus from nature. Seaweed does make an excellent liquid fertilizer. Here are some recipes for you on that. When you add seaweed to your flower beds, vegetable gardens and fruit trees you will often find far less insects attacking them, especially aphids and spider mites. Fruit and vegetable yields also increase, and in general your plants will be a lot healthier. 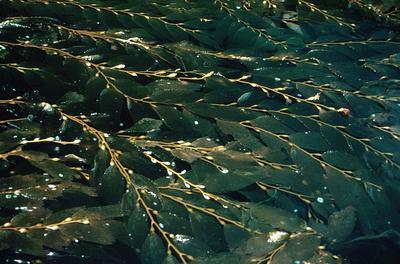 Seaweed is a good natural source of potash and nitrogen. If you want to add seaweed to your vegetable gardens certain plants will thrive as a result. It is a very good manure for potatoes and all root crops. Because of the salt content, it is also loved by asparagus, cabbage and other green crops. If you have a light soil then you can add 2 wheelbarrow loads per 20 square yards. If you have heavy soils, use only 1 wheelbarrow load. If you are collecting it in small amounts you can place it directly onto your compost heap and dig it in well, as it does smell if you don't. If the weather is nice and hot you can place it in the sun in a single layer and let it dry out. Dry seaweed is cleaner and easier to handle. However, if you get a storm and find loads of it on the beach you want to treat it first by soaking it in plain water, before adding it to the heap or garden. This is because you don't want to upset the balance of the soil by adding in too much salt. Seaweed is a good source of vitamins and minerals. It is rich in iodine, which is such an important mineral for good health, and often lacking in our systems. Seaweed also includes sulfur which acts as a tonic and purifier for the body. Besides Vitamins C and E, seaweed also contains copper. Because of these qualities, seaweed, is not only beneficial to our gardens, but also beneficial to our own health and that of our livestock. Seaweed, especially dried kelp, can be used as an addition to feed for livestock. Make sure that it doesn't make up more than 25% of their feed, but it is excellent for cows, goats, sheep, alpacas and horses, and their condition improves visibly. It has far more nutritional value than hay with 30% more minerals in seaweed than in hay. Because salt is needed by these animals for their health, rinsing the seaweed here is not necessary. Instead of feeding potatoes to pigs, if you have seaweed use it as hog feed. It has 2 1/2 times more nutritional value than potatoes and your pigs will be in top condition. Copper is also found in seaweed and is important for iron absorption, and cows that don't cycle properly are found to have low levels of copper in their systems. A urea-free liquid seaweed that has no chelated minerals added, is excellent to add to calf feed as well as to bottles of poddy lambs and calves. If you can find seaweed meal, giving it to poultry is another great addition to their diet. So, you can see that seaweed is a very useful addition to our gardens and homesteads, and if you live next to the sea, as you do Brian, you are very blessed!